The ideal little cable puller for your workshop, the Yale LP wire rope cable puller can handle loads up to 500kg. 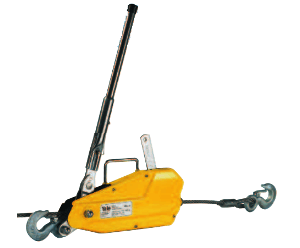 This cable puller from Yale is a practical little device with load handling capacities of 500kg. 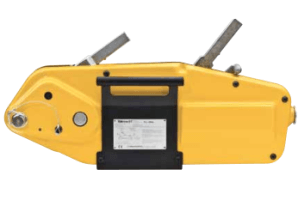 The Yale LP wire rope cable puller can be used in a wide array of applications, lifting and lowering loads can be completed with ease but for pulling operations this cable puller comes into its own. 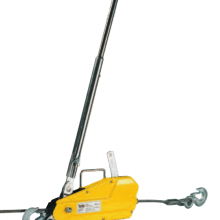 The LP wire rope puller can also successfully be used for tensioning tasks. 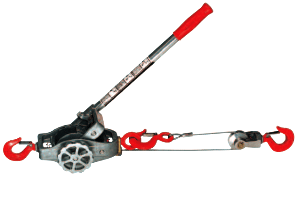 This cable puller is a compact machine and weighs just 4kg (without the lever and wire rope) this makes it a perfect choice for keeping in work vans and tool boxes for those unexpected lifting and tensioning tasks whilst on site. Very easy to carry with the inbuilt handle and simple to operate with the telescopic handle which can be fitted to both forward and reverse levers for easier operation. 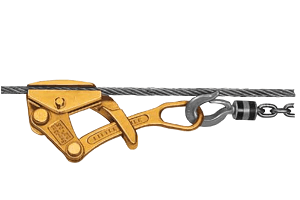 A double stroke of the lever will advance the wire rope by 35mm, so tasks can be completes relatively quick. The outer housing of these machines is produced from stamped steel giving low weight and good resistance properties. This cable puller comes as a complete kit with everything you are likely to need for common tasks. 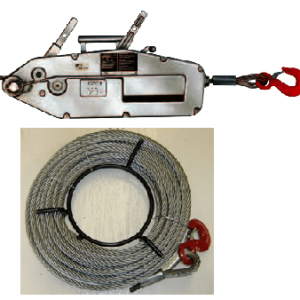 The cable puller comes with 10 metres of quality wire rope complete with an anchor bolt and eye sling hook. 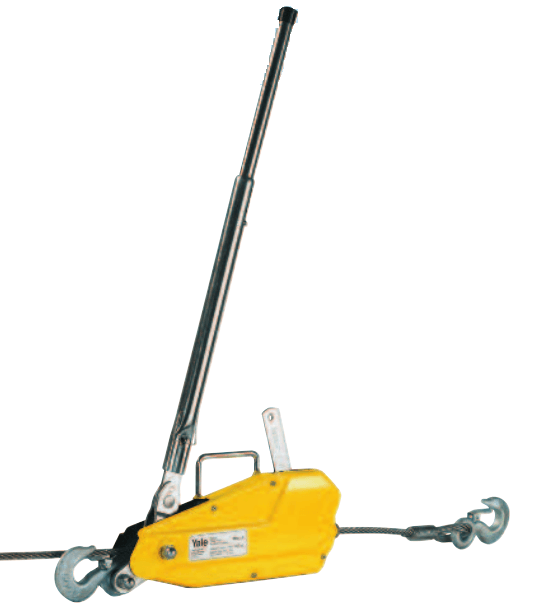 We also supply a 1 metre web sling with this pulling machine which is perfect for use as a rigging point. The telescopic handle is also included. This complete cable pulling kit is ideal for servicing, assemblies, workshop tasks and recreational applications. Technical data and dimensions can be viewed on the specification tab; meanwhile if you need more help or advice on which cable puller from our range would be best for you then contact us here or call our friendly sales team on 01384 75182.